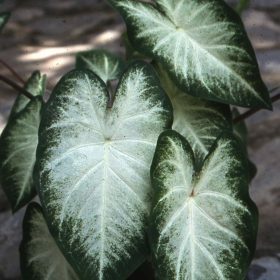 Candidum has fantastic lush leaves that are white veined with green. 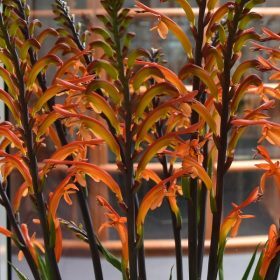 Chasmanthe floribunda Saturnus is an exotic looking plant but not that difficult to grow. It is a member of the crocus family and relatively hardy in the warmer parts of the UK. 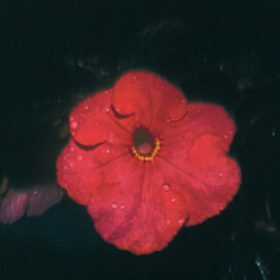 Spicy Cajun produce flowers that are purple with a yellow throat. 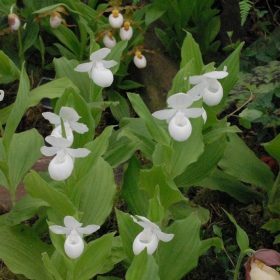 It prefers to be grown in moist or boggy conditions but will grow in most places in the garden that get sun. 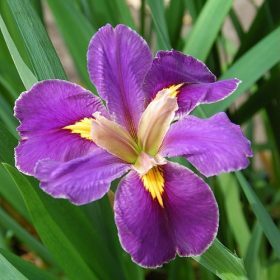 Easy Dance has flowers that are bright yellow at the tips with the centres a deep purplish maroon. 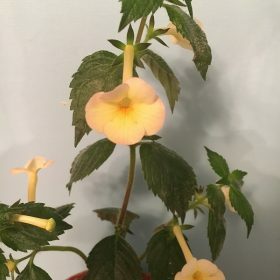 Fatamorgana is a relatively new variety that is pollen free and has semi-double to fully double deep golden yellow flowers. A fantastic Asiatic lily in red-orange hues. 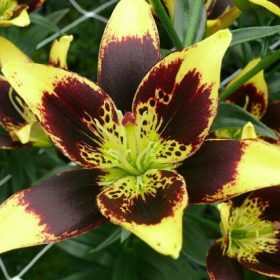 Asiatic lilies are regal with attractive re-flexing petals. 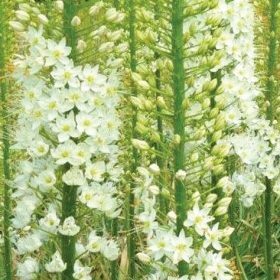 An ideal lily for the shadier, woody areas of the garden. 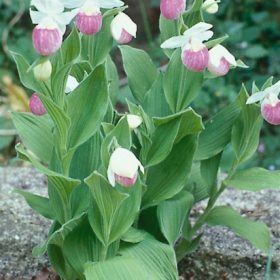 Martagon album is a specie lily and can also be referred to as a Turk’s Cap lily. We will supply a minimum of 5 varieties in each of our mixtures so a great mixture to purchase. 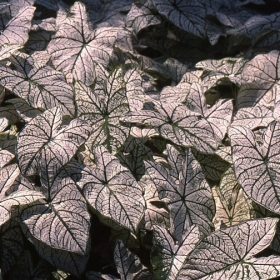 Can be grown in semi shade to full sun. What a stunning variety. 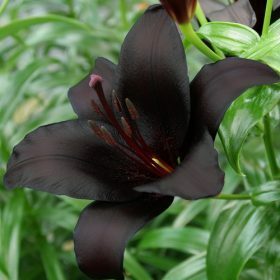 Night Rider has flowers that are almost black and truly stunning. 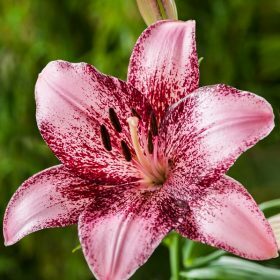 Asiatic lilies are available in a vast array of colours. 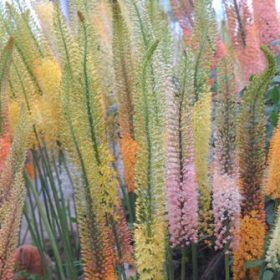 An utterly fantastic variety that will produce Ivory-white flowers with an orange starburst at the centre. 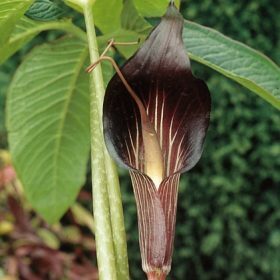 On top of this each petal has dark speckles. 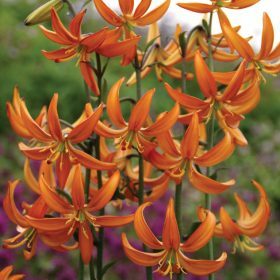 Lilium Orange Marmalade can produce 30+ tangerine orange flowers per stem once well established.